I’m sure you’ve heard of the Chicken and Waffles phenomenon by this point. 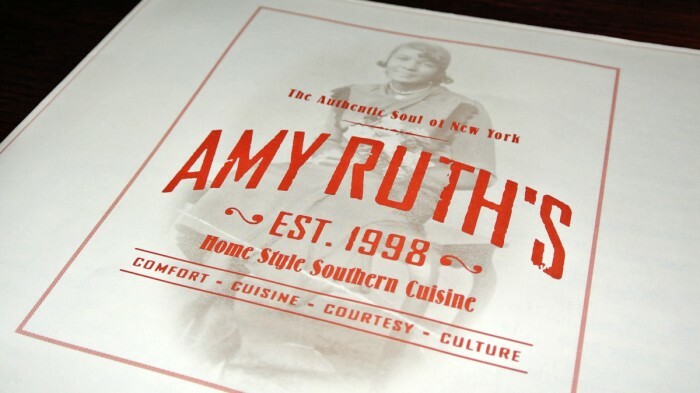 If I’m in NYC and feel like getting my soul food on, there’s one place I go to, Amy Ruth’s up in Harlem. 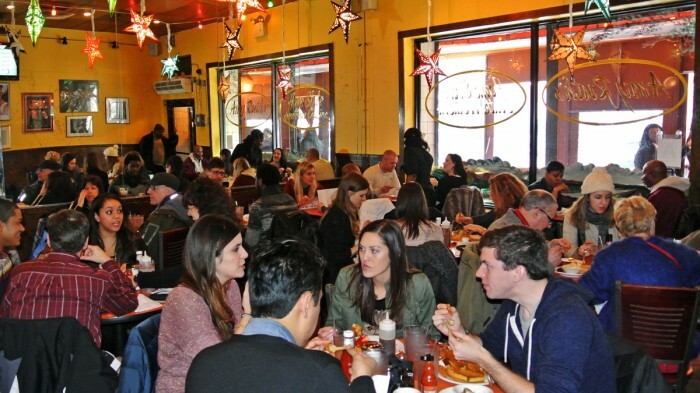 Just off of the 116th Street Subway stop you’ll find a winter wind shelter covering a barely noticeable restaurant. It would be easy to walk right by, that is of course unless you show up too late and see the massive lunch line snaking out the front. On this visit we showed up at 11:30 to a half empty restaurant. Perfect, no line, no wait, let’s get to business. We quickly looked over the menu, but I knew what I was gonna get. 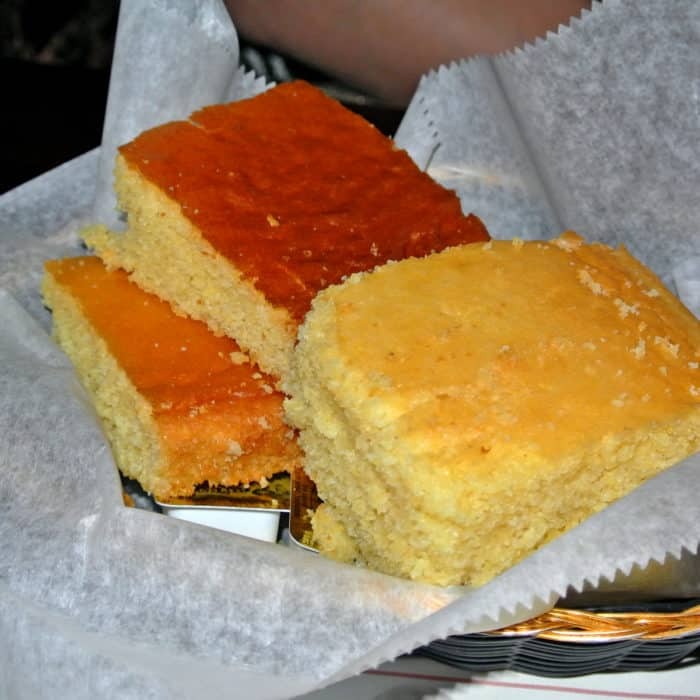 We placed our orders and were handed a basket of corn bread to munch on. It was quite good, though maybe a touch dry for my taste, but an ample spread of butter and shake of hot sauce fixed that. Soon after, the main attraction, The Reverend Al Sharpton, was handed to me. 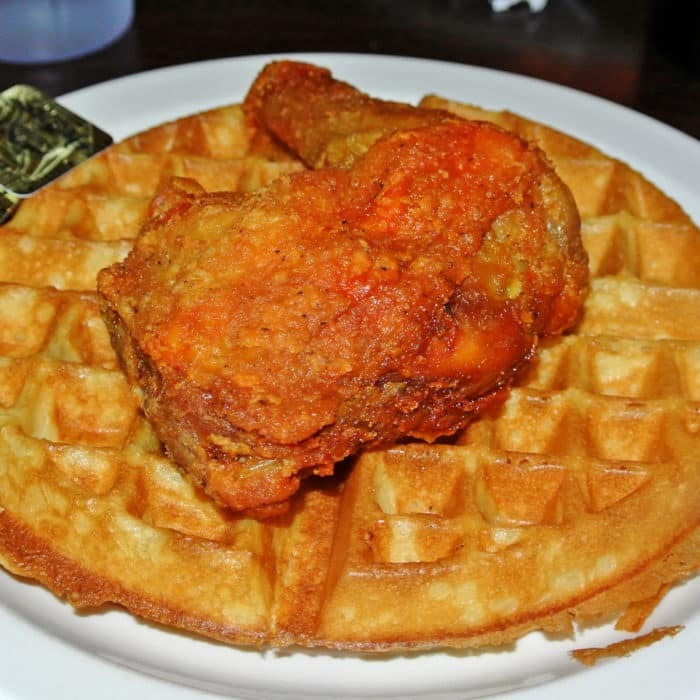 What arrived was a golden brown, perfectly cooked waffle topped with a large hunk of freshly fried chicken leg. I immediately spread some butter onto the waffle’s surface, squirted a hefty zig-zag of maple syrup, and doused it all in Frank’s Red Hot before diving into the magnificent beast. Each bite of perfectly crisp sweet waffle combined with the meaty, greasy, crunchy, crispy fried chicken so well. The syrup’s sweetness and Frank’s spiciness made for a truly magical taste combination experience. This is one of those dishes that doesn’t make much sense in your head that you’ll just have try for yourself to believe. 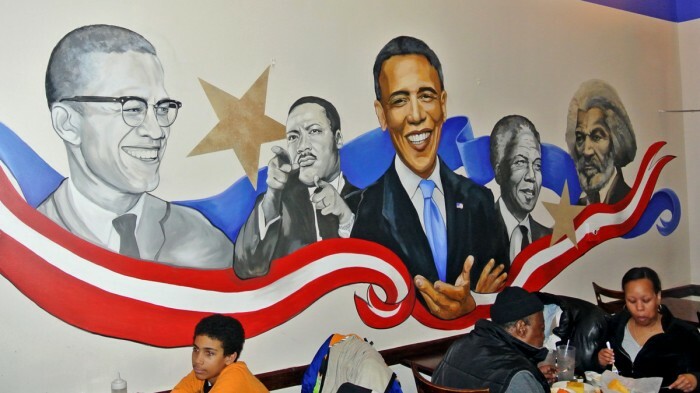 So, if you want some real deal soul food, do yourself a favor and head up to Harlem and get the Reverend Al Sharpton. Just make sure you come at an off-peak time or be prepared to wait in line. 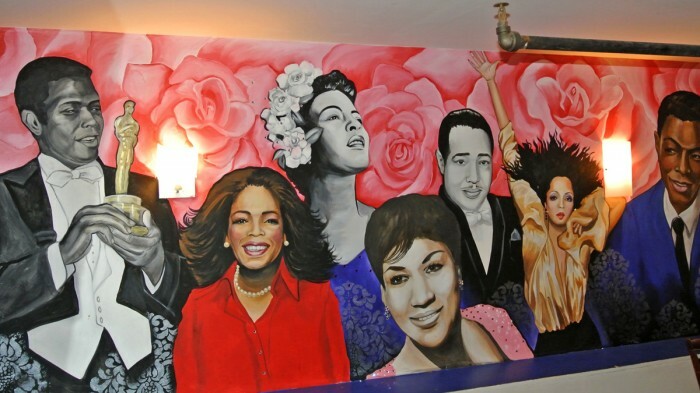 Know of another legit soul food joint in NYC that I should check out? Let me know in the comments below.